The keepers are asking us to sit quietly and hold the energy and focus on connecting our physical and higher heart chakras and connecting around the group. Allow, allow, allow, I Am That I Am. The keepers asked John to activate this gateway. Activate, activate, activate. The stargate over this site is not very big. 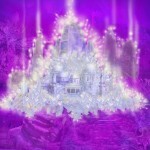 We also activate the gateway portal into the cosmic heart of Source. 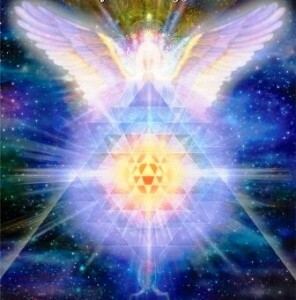 We receive an activation from the keepers, ancestors, and star brothers and sisters. What does the physical manifestation of this portal mean? In the ancient days, many priests, priestesses, and shamans came here to hold the divinity and cosmic love from Source for the Mother Father God. This gateway portal in the energy system of the gods leads to a very big inner chamber. In our time frame now we call the 21 st century, this is how people could go through this door. Shamans were priests and priestesses because it was before the time of shaman, and they had very high frequency of light in their physical bodies, so they could pass through the solid doorway. It wasn’t necessary to physically open it. Inside the chamber there is still present a great number of sacred geometric shapes and crystalline structures which further assisted these beings in bringing the true knowledge from the star brothers and sisters, who are still connected with this place. Some of them are from Sirius, Pleiades, Orion, Draconas, Vega, Lyra, and many others. They have all been assisting our race in grounding the cosmic consciousness on the planet after the great wars and also continuing to do so today. So, I invite you to pass through the door. You will not pass physically with your bodies, because your vibrations don’t resonate close enough with the Divine Light right now. However, you know enough that you may travel with your consciousness to all points in time and space. So for those who wish to accept our invitation, please affirm in your minds you are in acceptance of the invitation. I invite another being to join you, a crystalline being known as Artista. He is a crystal skull, which as been resonating with our star brothers and sisters since he was created. Artista manifests itself and I invite you to come with me through the portal into the inner chamber. It is time to interact with the star brothers and sisters and build relationships. Stand in a circle in the middle of the chamber. I bring in a focused infusion from the heart of Source and the cosmic heart of Source beyond. Ground yourself. All activity is for planetary service for earth and humanity. Be open to receive affirmation. Artista also spreads its knowledge and the knowledge of the purity of Lemuria, your origins. Activate, activate, activate. . . . (pause). I will give my name as the keeper. I am Nanwhonampa. This is the gateway to your own personal Source and the Source of creation, Mother Father God. Another being joined us from the Confederation of Free Worlds. As yet, earth isn’t a member of this group, so I am here to pass on to you timely reminders. Your world cannot become free unless you are free yourself from these many things you have come to believe are completely real. Most of the things aren’t real. Unless you free yourself from these illusions, it isn’t possible for your world to become free. It’s up to every individual, not the world collectively, to create this freedom. You may say then in the end it’s a collective effort. Thoughts like this come from the mind. Do not focus on the collective. Focus on the self. Many are asking, “Why are we not free? How many are necessary to create the next level of ascension? 144,000 beings?” This number is confirmed in many different philosophies, legends, and the Bible. So, why has the next piece of the journey not occurred for earth? There are not 144,000 that are completely willing to let go, let God. Many say, “I want to be free”. It takes commitment and living a life of totalness in love. This is what we are always suggesting you may do. It is all choice. Would you like to be free or a prisoner of mind? The answer is up to you. Join us if you wish. May you continually be open to receive the cosmic blessings from the Source of creation. I love you.